Congratulations to Marla Spivak, recipient of the 2010 MacArthur Genius Grant! Spivak is an entomologist who has been doing really important research regarding honeybees and their attempts to fight all of the bad stuff that comes their way. 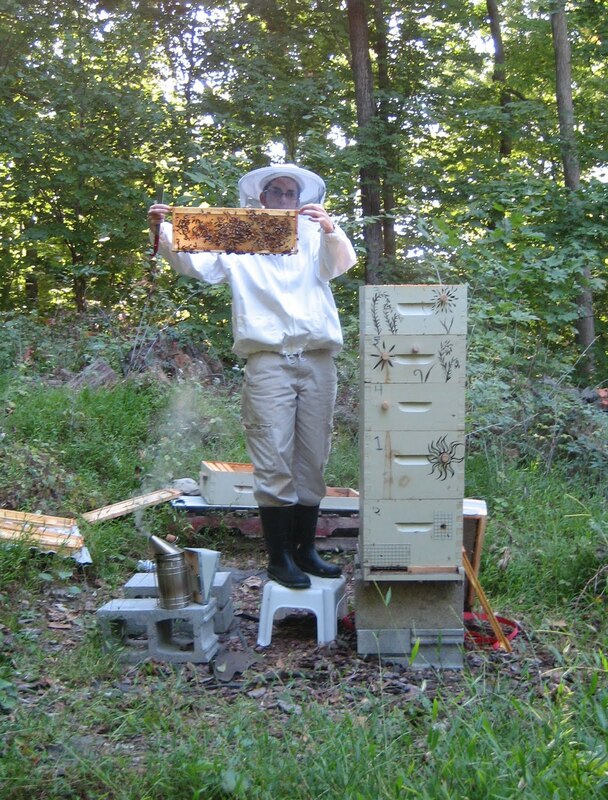 In particular, she has been studying the hygienic practices of bees and how bees that are more hygienic are more likely to survive. 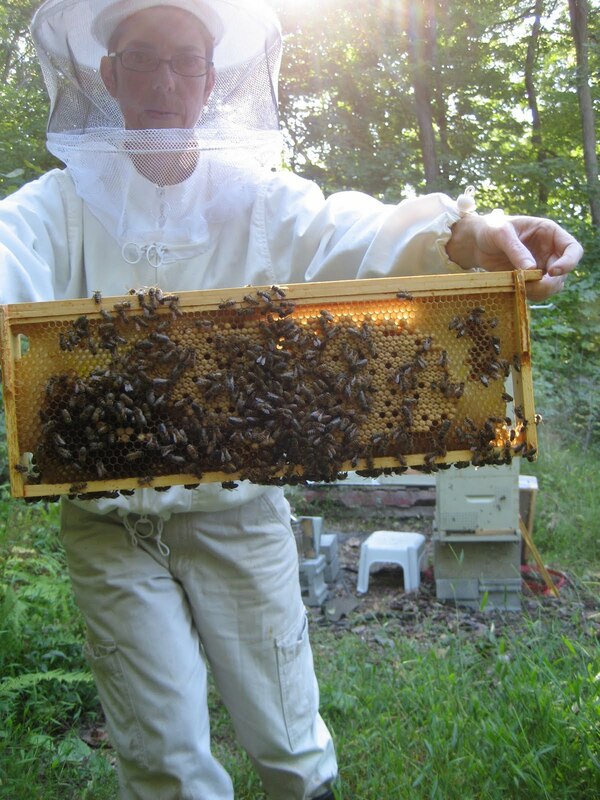 Such behavior includes things like uncapping pupae that are infested with disease or mites and removing them from the hive before they are even born. 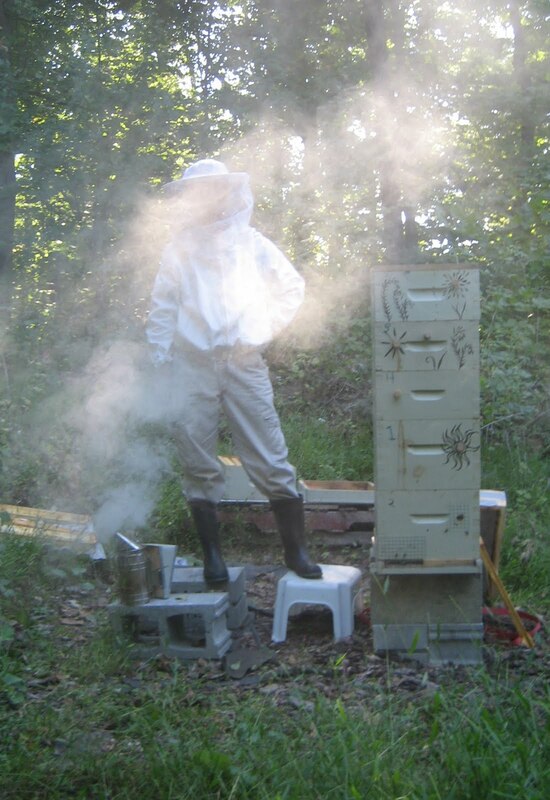 I have seen this happen with my own bees and it is hard to imagine how they know how to do this, but then again it is hard to imagine how they know how to do most of the things that they do. And hats off as well to Carol Padden, a deaf linguist who also won the grant! Many moons ago I studied Padden's sign language books and videos and she is an amazing person. Her most recent research has involved visiting deaf Bedouins in Israel who have developed their own sign language. Not to lump myself in with these "geniuses", but Matt did take some pretty cool photos last week up at the hive. It is amazing what a bit of smoke can do to create a mood of mystery. The hive is doing really well. 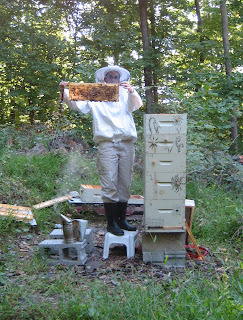 The bees are getting ready for fall/winter and I have been doing what I can to make them comfortable. The vent system is on the hive in an effort to accommodate these warm days with cold nights that can create a lot of condensation. 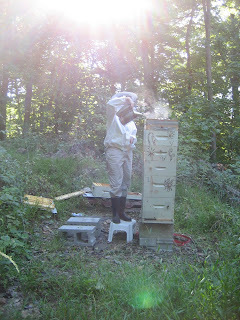 The girls have two boxes of capped honey that I left them from the spring and summer flows. Mite levels are up, but they are kicking out the bad and taking care of the good. 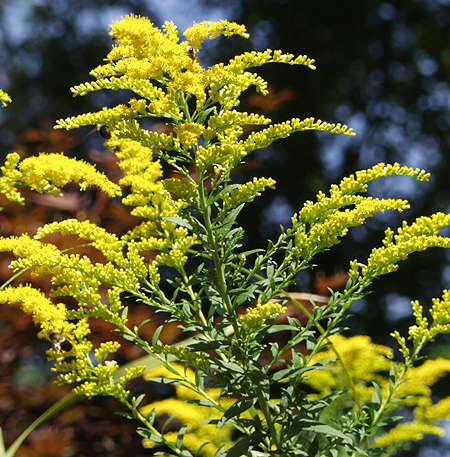 The goldenrod flow is intense this year and the hive has a heady smell that makes me lightheaded when I breath deeply. Of course, it is also making me sneeze and itch, but I don't mind, knowing that the girls are enjoying an ample fall forage. The propolis tincture is steeping and we are getting ready to dive into the world of holiday fairs. Matt has made a beautiful hardwood gift box for our Beacon Bee Body Balm, so keep us in mind when the cold wind starts to blow. For now, I am enjoying the leaves that are starting to turn, and I thank the bees for a gentle and sweet season.